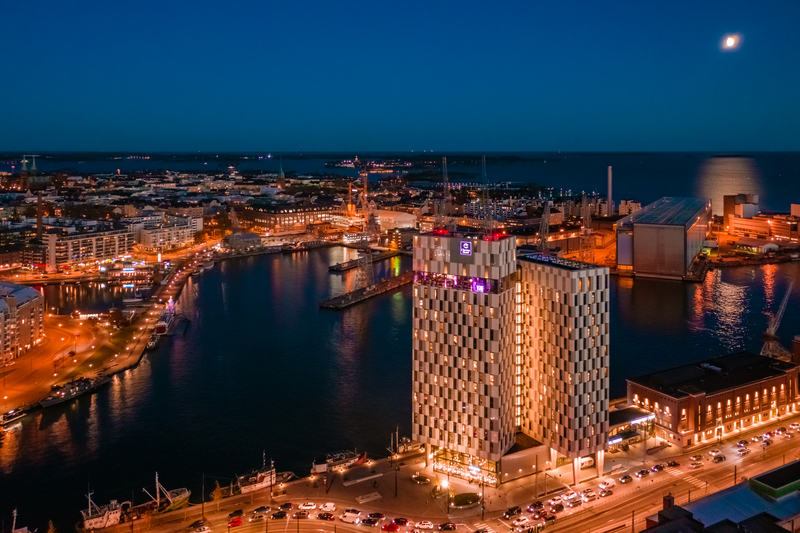 Welcome to the Clarion Hotel® Helsinki! Do you have questions about your visit? We hope you'll find the answers you're looking for here. Indoor parking facilities are available within walking distance (approx. 450 meters). Before you park, you need to get a pin code from the hotel reception. Please note that these spaces are subject to availability and that they cannot be reserved. You can read more about the parking facilities under Services. Is breakfast included? Can I have breakfast if I check out very early in the morning? We serve a large buffet breakfast, with plenty of organic produce that is delicious, nutritious and filling. A proper hotel breakfast in other words! Breakfast is always included in the price of your room. Please let us know if you need to check out before our breakfast buffet opens. Is there a gym, pool or spa at the hotel? How much does it cost? We have a great gym here at the Clarion Hotel Helsinki, so you can stay in shape even when you're away from home. Those of you looking to sweat a little more can enjoy the lovely sauna. Don't miss the stunning views of the city up on our Rooftop Pool & Terrace. Entry to the gym, saunas and pool is included for hotel guests. You can use our luggage room to store your belongings before you check in or after you have checked out. Is there WiFi? What does it cost? Hotel guests have free access to WiFi all over the hotel. You will be given a password when you check in. We also have a guest computer with a printer. What can I do if I've forgotten my toothbrush or other toiletries? Don't worry! We sell a range of different products in the reception, including toothbrushes, toothpaste, razors, shaving foam, shampoo, conditioner, body lotion, shoe shiners and sewing kits. In case we don't have what you need, we will do our best to help you purchase the item. Will you be celebrating something special, or do you simply want to treat yourself to a more luxurious stay? Contact us and we will help you to upgrade your room.